The Supreme Court today set aside the Bombay High Court judgment which had refused to grant additional time beyond 90 days under the Unlawful Activities Prevention Act for filing the charge sheet against lawyer Surendra Gadling and four other activists arrested in Bhima Koregaon case. This means that the arrested activists will not get the benefit of 'default bail' to seek release from custody. It was on January 10 that the bench of CJI Ranjan Gogoi, and Justices S K Kaul and L N Rao reserved judgment in the case. 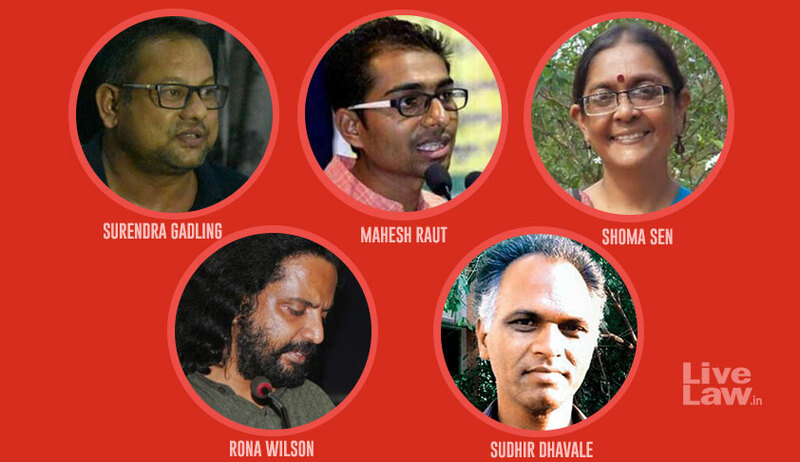 Lawyer Surendra Gadling, and activists Shoma Sen, Rona Wilson, Sudhir Dhavale and Mahesh Raut are under custody since June 2018 on allegations of suspected Maoist links, which the police claim to have unearthed during their investigation of Bhima-Koregaon case. The bench headed by CJI Ranjan Gogoi allowed the appeal of Maharashtra Government, to restore the order of Pune trial court, which granted additional 90 days time to the police to file chargesheet. The SC has however clarified that the observations made in the judgment will not affect the right of the petitioners to seek regular bail. Though Justice Mridula Bhatkar of Bombay High Court had allowed the plea of the arrested activists on October 24, the judge had kept the operation of the order in abeyance till November 1 to enable Maharashtra Government to appeal to SC. On October 29, the SC had stayed the HC judgment. While the proceedings were pending in SC, the Pune police filed charge sheet in the case on November 16. The main bone of contention in the case was whether the application under Section 43D UAPA for extension of time to file chargesheet was filed by the competent authority. The Bombay HC found that the application was filed by the investigating officer, instead of the prosecutor, and held that it could not have been acted upon by the trial court. Appearing for Maharashtra government in the SC, Senior Advocate Mukul Rohatgi submitted that the application bore the signature of the prosecutor as well, and was valid under Section 43D of UAPA. Senior Advocates Kapil Sibal and Dr.A M Singvi appearing for the petitioners had argued that the application cannot be treated as one filed by the prosecutor, merely on the basis of a signature. The application lacked application of mind by the prosecutor, they had contended.